The very idea of traveling in a cruise to far off places and enjoying the cool breeze of the sea air is itself mesmerizing. 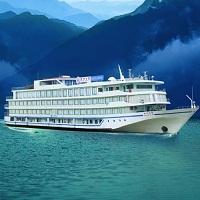 DHRUV TRAVELS gives the most cost effective cruise booking facility all over India. We present you our amazing cruise booking services to enable you to have the best time throughout amazing island destinations. So, to have amazing cruising experiences at affordable rates, reach out to us.We ensure that your tickets are booked in world-class cruises for excellent travelling experiences.